HOLLYWOOD, California–Since making his Hollywood debut in 1988’s “Mystic Pizza,” alongside relative newcomer Julia Roberts, Matt Damon has not only won an Oscar for his writing capabilities, but has also been recognized for his portrayal of South African icon Francois Pienaar, and most recently, James Rorimer, in George Clooney’s, “The Monuments Men.” Outside of acting, Damon has focused his attention towards finding sustainable solutions to combat the challenging water crisis which continues to plague millions of people in Africa. “People’s lives are at stake. These deaths are unnecessary, yet children are still dying by the millions,” said Damon, during an interview on “This Week,” with ABC News Correspondent Cecilia Vega. Damon spoke about his non-profit organization, Water.org, which provides sustainable solutions and practices to improve access to clean water to people across the globe. Currently, there is an estimated 780 million people who lack access to clean water and approximately 2.5 billion people who suffer from unclean sanitation. 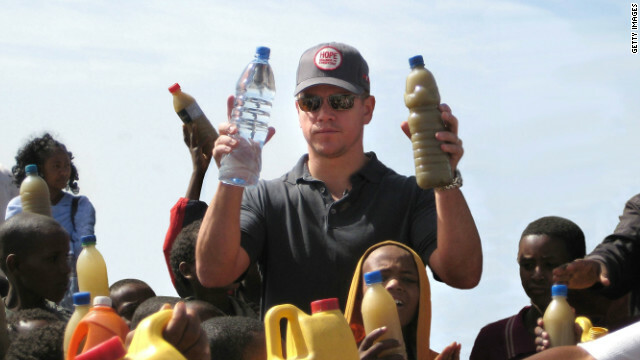 This grave reality motivated Damon to get involved in the issue starting in 2006 when he co-founded the H2O Africa Foundation, whose purpose was to shed light on clean water initiatives in Africa. Damon continued his work and eventually met Gary White of WaterPartners, a similar non-profit, when they were attending the annual Clinton Global Initiative. In 2009, the duo combined efforts and launched Water.org which has since provided essential WaterCredit loans to communities most in need. Of the estimated 250,000 loans that have been distributed, nearly 98 percent of them have been paid back in full. Water.org combats the continuing water crisis by partnering up with indigenous locals who are taught successful practices which enables them to be self-reliant and educate other members of the community. Water.org also provides WaterCredits and enlists the aid of third-party organizations to evaluate the quality of implemented programs. While Damon and White continue to increase awareness for their organization and make significant differences in countless African communities, there is still much that needs to be done. “It’s just so huge. There’s a real opportunity to save a lot of people,” said Damon, who continues to work closely with Gary White and the other board members of this growing organization. You too can join the movement by visiting Water.org.